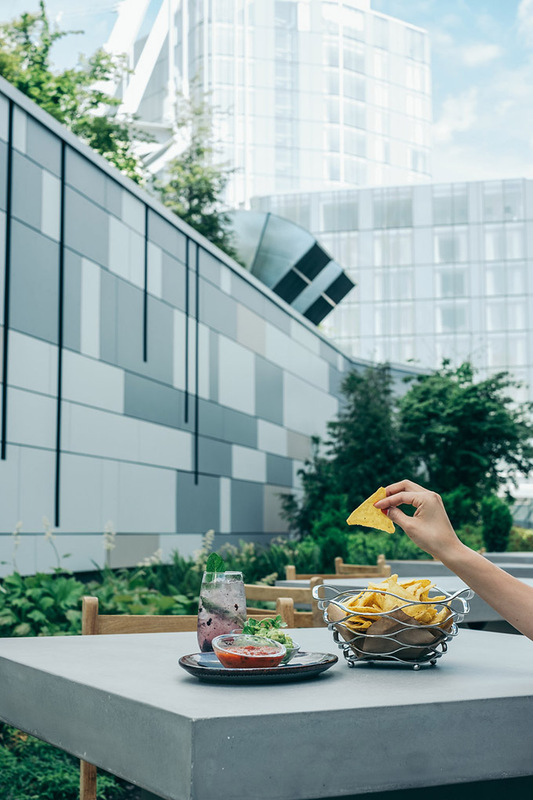 D/6 Bar & Lounge’s urban rooftop patio is set to open on Thursday, April 11th! 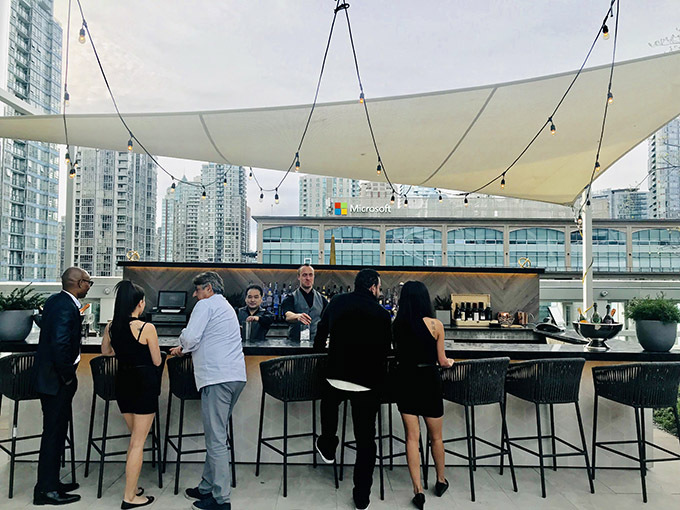 Since it’s grand opening last year, the patio has been fitted with it’s own fully-stocked outdoor bar, and a fully enclosed area suited for patio goers rain or shine. 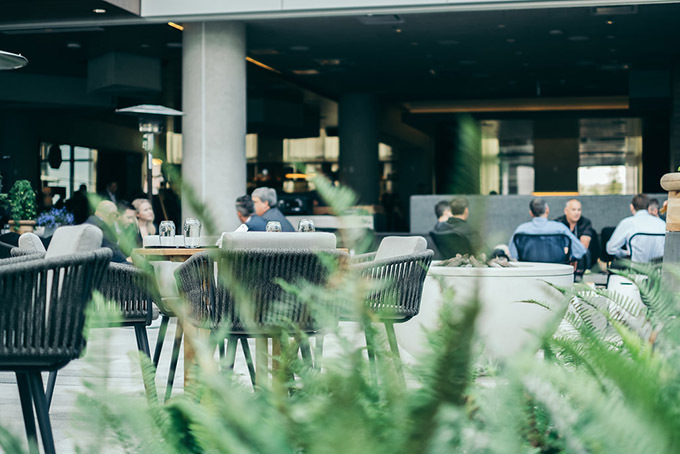 Happy Hour will be available daily from 2:30pm – 5:30pm, offering a refreshing line-up of cocktails, wine, and beer. 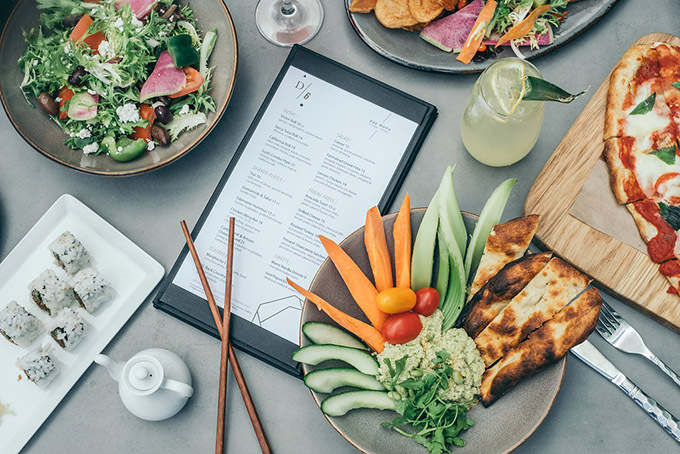 The all-day food menu will be available daily from 11am-9pm, with highlights that include: sushi, salads, paninis, a chicken wing bar, charcuterie, flatbreads, and more. 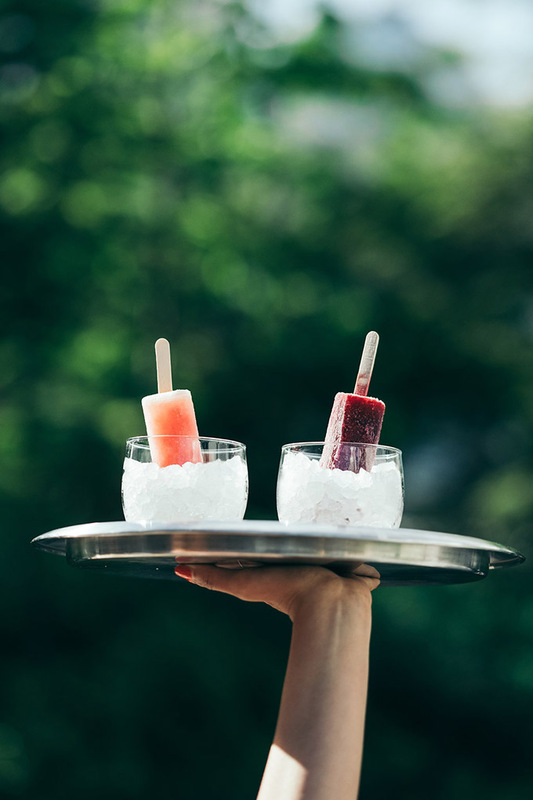 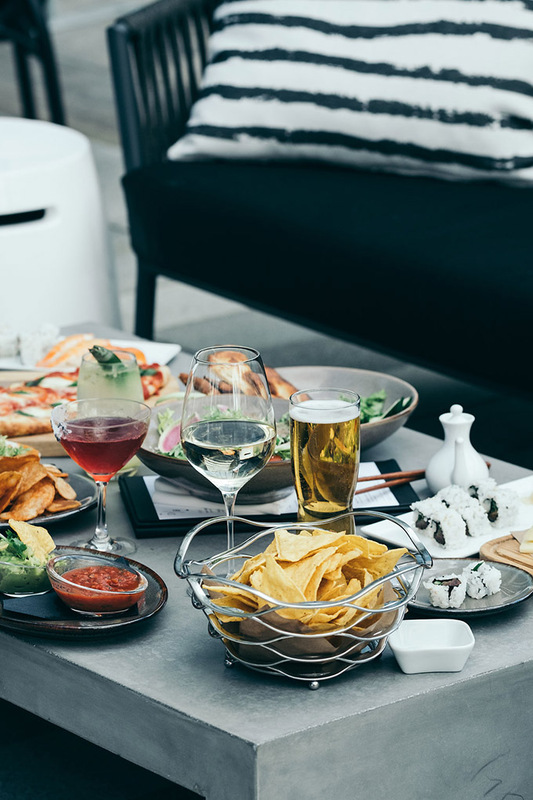 Starting with Social Sundays, guests can play all of their favorite board games from The Games Collection, play video games in the hidden lounge or on the patio during sunny days, while enjoying 30-50% off wine. 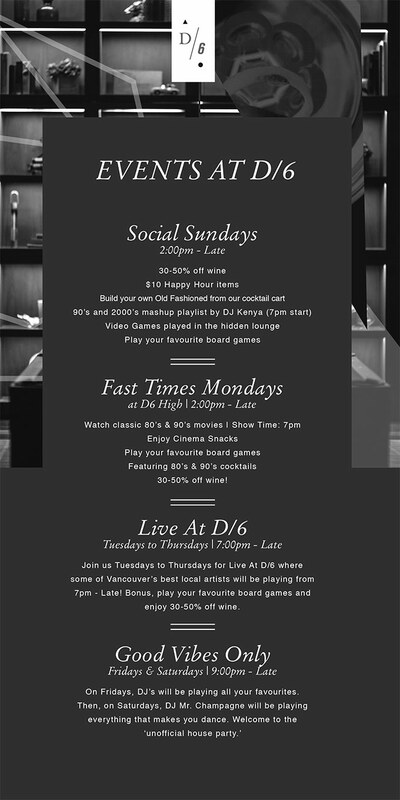 Mondays bring you Fast Times at D6 High where all of your favorite 80s and 90s movies will be playing, while guests enjoy classic 80s & 90s cocktails on special, along with 30-50% off wine. 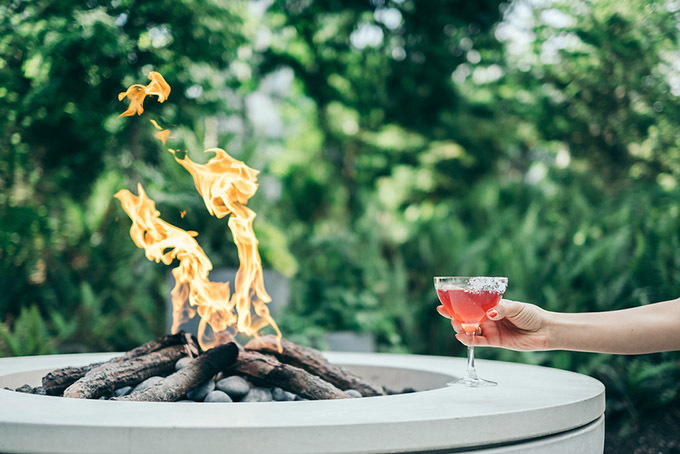 Tuesday – Thursday are Live Nights where Vancouver’s best local artists will be playing live music from 7pm.